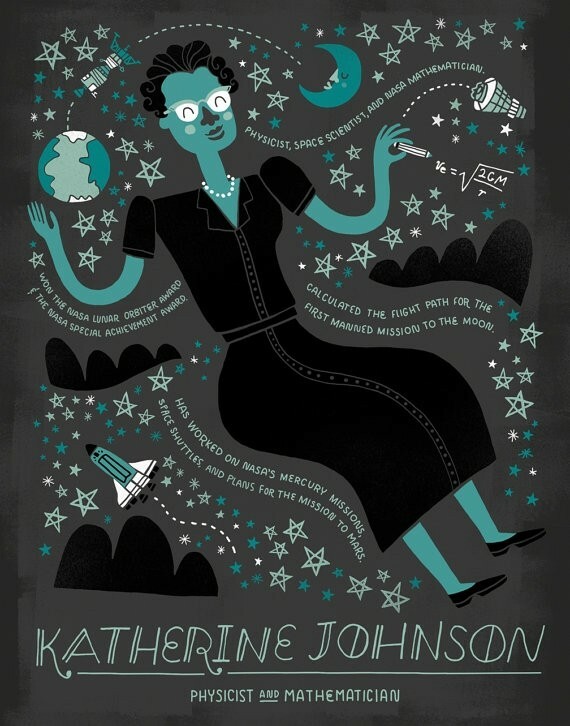 Katherine Johnson is a physicist, space scientist, and NASA mathematician. She calculated the flight path for the Apollo mission to the moon. Katherine has worked on NASA’s mercury missions, space shuttles, and plans for the mission to Mars. 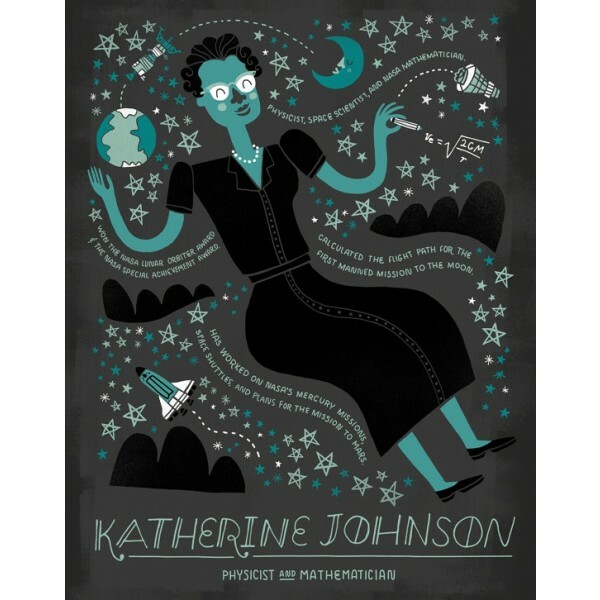 This poster from the author / illustrator of Women in Science and Women in Sports is available in 8X10 and 11X14 sizes and is printed on high-quality paper with archival inks. For more posters from the Women in Science series, visit our Rachel Ignotofsky Collection. For more resources about Johnson's groundbreaking work with NASA, visit our Katherine Johnson Collection.